RTSea Productions spent 2009 deep inside Google producing a series of pro shark tourism and pro conservation media pieces. Richard Theiss is well known in the industry as a competent story teller and filmmaker who seeks to portray sharks in a natural setting, without the added media hype often associated with these magnificent animals. He was the driving force behind film Island of the Great White Sharks a film that remains the only serious investigation into shark tourism and ongoing research at Isla Guadalupe, Mexico. He was also the primary shooter on an award winning television series featuring Isla Guadalupe in Mexico in 2009. 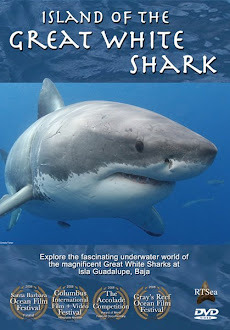 His latest video shows that there's much more to Isla Guadalupe's shark ecotourism than just an exciting adventure. Sharks are critical to maintaining a balanced marine ecosystem, and responsible ecotourism enlightens people to the threats sharks are facing today and the need to protect them. To learn more, visit Google Earth's new ocean layer or visit RTSea Productions. 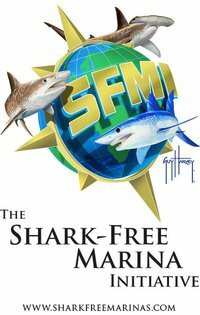 There are a few dedicated groups out there who could use funding to do amazing PSA's and conservation work for the oceans. This is why we support Imaging Foundations drive to win the Chase Bank competition for conservation funding. Join them this month and create your own Wave Rave to celebrate the oceans and VOTE for their funding by Chase. Your vote will make a world of difference to the oceans.